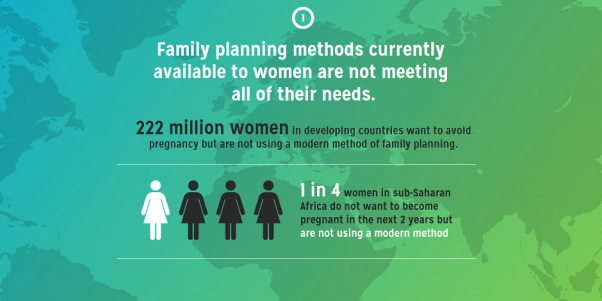 We have heard a lot about the unmet need for family planning: how over 200 million women in developing countries who want to avoid or delay pregnancies are nonetheless not using contraceptives. Although access to services and costs of contraceptives are obstacles for some women, by far the major reason women give for non-use is the fear of side effects and health concerns. Now a new natural method helps address this issue. By providing an effective way to regulate fertility without side effects and complications, the Standard Days Method (SDM) is reducing unmet need wherever it is offered. Over a million women who never used contraception before are using this method—and as word of the benefits spreads, this number is increasing. See the benefits for yourself. 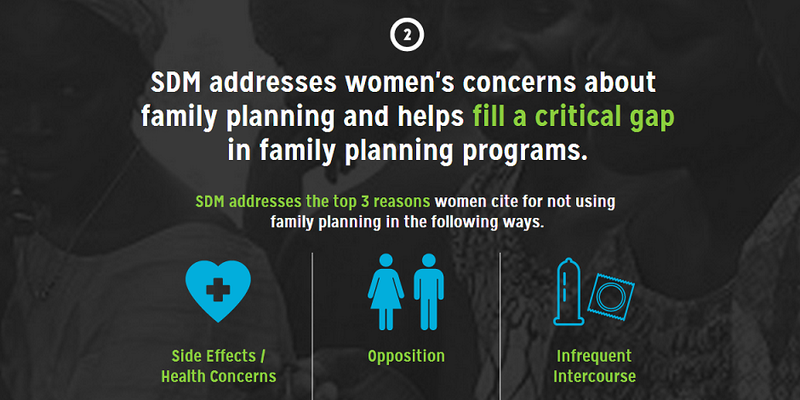 Check out IRH’s new interactive site on the top ten reasons to integrate a modern, natural method like SDM into family planning programs by visiting www.StandardDaysMethod.org or by clicking the infographic below.